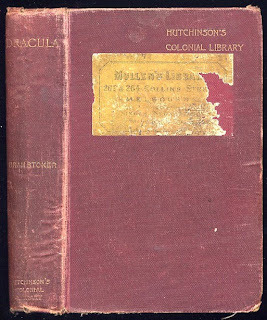 The latest additions to Messrs. Hutchinson's Colonial Library include stories grave and gay, sensational and domestic. 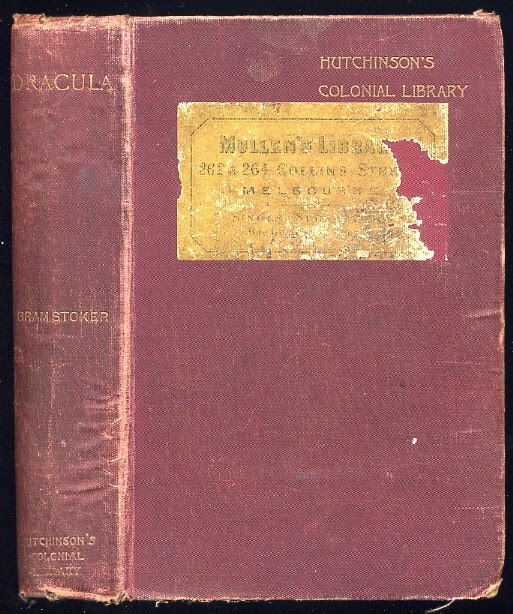 Pre-eminently striking is Bram Stoker's "Dracula," notwithstanding that it is in great part a reversion to old-fashioned methods. Its plot is unfolded by letters and diaries in regular painstaking fashion, after the manner of Wilkie Collins. As for the plot itself, it is ghastly beyond belief. Not even Sheridan Lefanu in his wildest moments ever conceived anything to equal it for haunting horror. It is a story of human vampires and demoniacal possession, of midnight apparitions and life-in-death. The book must be carefully kept out of the way of anyone with weak nerves; but for those who can stand it there is a fearful joy in the gradual making clear of the tremendous mysteries involved. The art of the author is of quality high enough celare artem. There is no attempt at fine writing, and the simple details almost bring conviction. If they quite brought it, farewell to the reader's peace of mind!